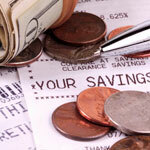 Using coupons can bring substantial savings to your household budget. 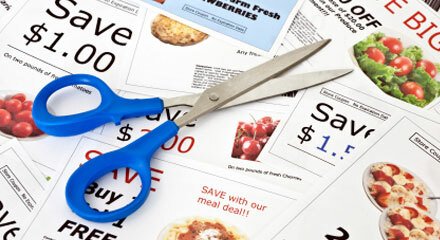 Here are some ideas to keep coupons and offers organized. You’ll save time at the checkout and save money on your purchases when you keep your coupons organized. Save coupons from all sources. Mailers, newspapers, inserts, magazines, websites and even cash register receipts often contain valuable coupons. Check for coupon flyers at the entrances of stores. Often these coupons or offers are not advertised. Look in packages of products for additional coupons. Many times manufacturers offer incentives to buy accessories or supplies. Check expiration dates and throw away all expired coupons. 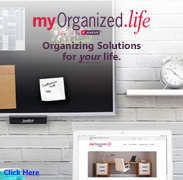 Eliminate coupons and offers for products or services you would never use. Spending less than full price on something you don’t want is still wasting money. 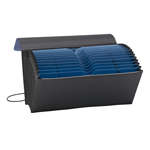 Use a Colored Handy File as your coupon organizer. The small size makes it easy to take with you when you shop. 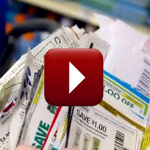 12 pockets allow you to sort coupons so you can find them easier. The protective flap and cord keep coupons safely inside. Organize the coupons into groupings. 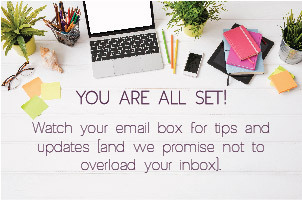 Categorize by expiration date using the Jan-Dec or 1-31 headings. Sort by store name using the A-Z headings. 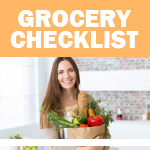 Before heading to the grocery store or other merchant, check your Handy File for coupons on items that are on your list. Consider any coupons you saved for other products that are sold at that store, and decide if you should add them to your shopping list. At the store, be on the lookout for instant coupons and rebate offers. Redeem rebate offers as soon as possible, before you throw away packaging. Often bar codes or other proof of purchase are required. Save even more by using coupons on items that are already on sale.